The Chart class offers a built-in and ready to use control to easely display graphical representation of data. Chart supports five type of graphs representation: Bar, Pie, Line, Area and Scatter. var animated: Bool If true, animates its presentation; otherwise, does not. var itemWidth: Float Width of each item, measured in points. Depending on the chartType, the item can be a bar (Bar type) or a point (Line, Area or Scatter). 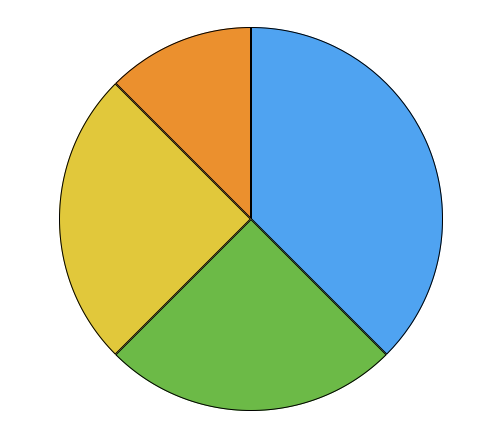 This property is not used in the Pie chart. var itemDistance: Float Distance between the center of two items, measured in points. If 0, the system automatically calculates a distance value. This property is not used in the Pie and in the Scatter charts. var itemBorderWidth: Float The width of the border line of the items, measured in points. var itemBorderColor: Color The color of the border line of the items. var itemPointStyle: ChartPointStyle The shape of the point. Applies only for the Line, the Area and the Scatter chart types. var itemCornerRadius: Float The corner radius of bars. Applies only for the Bar chart type. var itemDecorationStyle: ChartDecorationStyle The type of decoration applied to the items fill color. Applies only for the Bar chart type. var showsAxisX: Bool If true, shows the X axis line; otherwise, does not. var showsLabelX: Bool If true, shows the X axis labels; otherwise, does not. var showsAxisY: Bool If true, shows the Y axis line; otherwise, does not. var showsLabelY: Bool If true, shows the Y axis labels; otherwise, does not. var dataSet: Object The DataSet object provides information that Chart needs to construct its content. func reload(reloadDataSet: Bool) Reload the content of the chart.